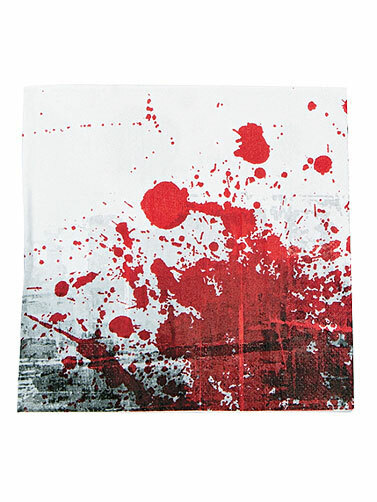 These bloody paper napkins are sure to be a hit at your next zombie or Halloween event. White napkins with the look of stained blood. Bloody Luncheon Napkins measure 6.5" x 6.5". 16 ct.